The hallmark of the business administration program lies in its ability to link class room lectures to real world business scenarios. Through case studies and group discussions, the BBA faculty engages the student to think beyond the conventional lines of decision making. Our primary focus is to make the students ‘industry ready’by exposing them to learning opportunities beyond the class room. Our faculty, often having Industry experience also help the students to attain valuable insider's perspective on the functioning and dynamics of modernbusiness organizations.We also encourage learning opportunities in the form of Projects, Industrial visits and corporate Internships which create interaction between students, managers, industrialists and entrepreneurs from around the world. The Department of Business Administration has been contributingentrepreneurs and managers to the society for almost three decades and now it is focused on creating socially sensitivecorporate leaders for a sustainable future.The department also organizes seminars and workshops. 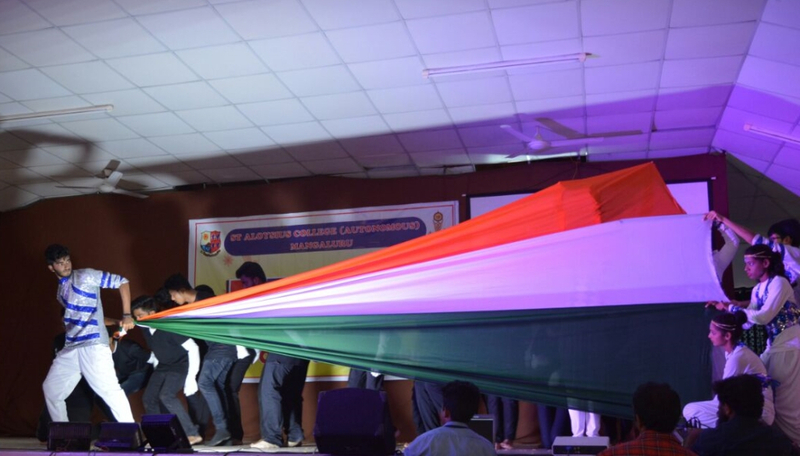 An annual student drivennational level management competition ‘Spinout’, is also part of our academic calendar. 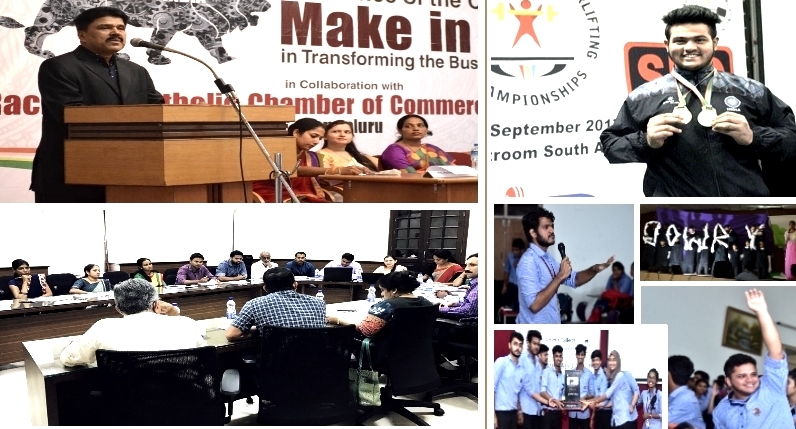 An MOU with Abhinjya and Collaboration with ISDC has enriched the learning experience. WHY JOIN THE BUSINESS ADMINISTRATION PROGRAM? Our mission is to educate the future leaders who make a difference in the world. And the catalyst to this transformation lies in empowering our students through an expertly crafted syllabus that provides the needed repository of knowledge, while challenging, it also introduces the students to new ways of thinking. • Lead the market with niche business models. • Create new lines of business for their family run enterprises. • Riya Locker, Assistant Manager ICICI , Bangalore. • Rahul Maroli, General Manager, Lease Plan, Gurgaon, Haryana. • Vinrose Pinto, Goldman sacks, Financial Analyst, Bangalore. • Carl Cuntinho and Dave Cutinho, Proprietor of Sentiments florist. • Neeraj Raju Jagtiani, Assistant Merchandiser for Mother Care at M.H. Alshaya Co. W.L.L. • Faizaan Patel, Entrepreneur- Photography. • AvinDivya, Runner-Up for Miss Mangalore and represented for Miss Karnataka. • Tejas, Entrepreneur – Gming Lounge. • SavioNazreth, Apex Funds – Handling various accounts. Bachelor of Business Administration – Professional : BBA professional is practical oriented management programme with CAT / MAT training, additional accounting and Mathematics and skill development programme. BBA – CIMA (Chartered Institute of Management Accounting from UK) embedded programme not only offers a nine papers exemption from regular CIMA papers but also gives opportunity to students to gain qualifications like certificate in Business Accounting, Diploma in Management Accounting and Advanced Diploma in Management Accounting. BBA Semester III – Financial Accounting III, Public Economics, Income Tax I, Business Law I, Marketing Management, Financial Management, Human Resource Management. BBA Semester IV – Financial accounting IV, Indian Economy, Income Tax – II, Organization Design and Development, Business Law – II, Banking Theory and Practice, E-Commerce. A Semester V – Cost and Management Accounting – I, Insurance and Risk Management, Advanced Taxation, Corporate Accounting I, Company Law, Corporate Governance and Business Ethics, Advanced Marketing Management, Advanced financial management –I (opt), Advanced Human Resource Management (opt). BBA Semester VI – Investment Management, Audit/Project Report, Organizational behaviour, Cost and Management Accounting – II, Corporate Accounting – II, Entrepreneurship Development, Operations management, Advanced Financial Management – II (opt), Advanced Human Resource Management –II (opt). The structure of the syllabus of BBA (Bachelor of Business Administration) has been revised under the CBCS scheme from the academic year 2019-20 onwards.